The CSS Exam Preparation Guide play a key role in mind building of students. 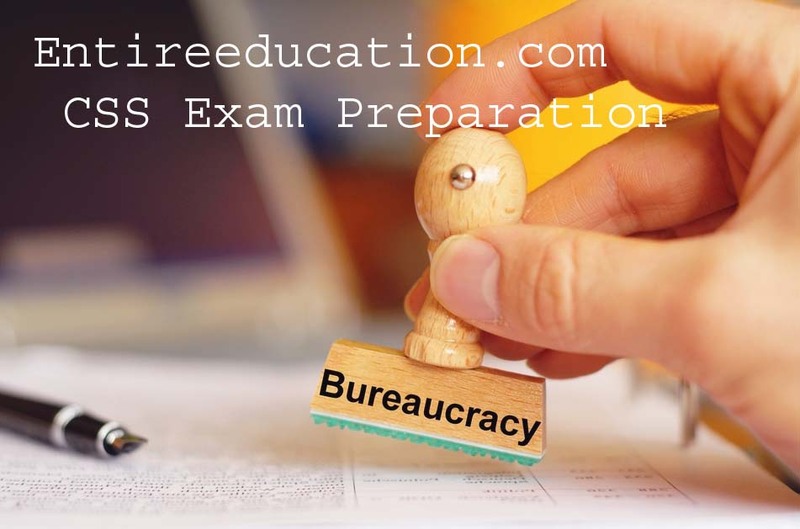 Federal Public Service commission is the reputable organization that regulates the structure of the Competitive exam. Every year exam will be conducted in the month of February, recruitment for the post of BS-17. We have detailed mentioned CSS Exam Preparation Guide that student easily grasps an idea.There are some core sections or Groups which are assorted by Government of Pakistan for those, who pass CSS Exam successfully. The competitive exam will be held in major cities of Pakistan such as Karachi, Islamabad, Hyderabad, Sukkur, Larkana, Lahore, Faisalabad, D.I Khan, Quetta, Multan, and Peshawar. Aftermath, the commission finally, decide to center where the interview will be conducted for various applicants. Federal Public Service Commission will be conducted exams according to prescribed rules. The government has right to change rules, which make student way easy to follow these rules in the selection procedure. A candidate for admission must attain the age of 21 to 28 for appearing in the examination. The applicants live in Tribal areas or permanent resident of these areas with their families. This student must affix a certificate to be issued by DCO/Political Agent/District Magistrate. Tribal Areas of D.I Khan and Peshawar Division. Former excluded (Baluch) area, surrounding DG Khan and Rajanpur District. Former tribal areas of Hazara and Mardan Divisions. Those who are a permanent resident of Azad Kashmir Territory, entitle to submit a certificate issued by Kashmir Affairs Division, Government of Pakistan. Applicants residing in Northern Areas including Gilgit, Baltistan, Ghizar, Ghanche, and Diamir entitle to submit a certificate issued by Political Agent/DCO/District Magistrate. Date of birth enter according to the document which is issued by the Commission. An applicant must hold at least a second-class or Grade C Bachelor degree from any recognized institute of HEC.A candidate who has attained the third division in his/her Bachelor will eligible to apply for the examination if he/she has attained an appealing score in Master Degree.In the case of foreign degree, Higher Education Commission will verify the following degree and issue an equivalence certificate. Aftermath, you can eligible to apply for admissions. An applicant must be a citizen of Pakistan or a person deriving his/here nationality from State of Jammu and Kashmir. An applicant who is not a national of Pakistan and married will not eligible to apply for appointment. Firstly, get prior permission from Government recognized as a foreign national by Federal Government. Allocation of seats will be subjected on provincial/regional quotas according to domicile certificate. All Applicants has acquired the citizenship of Pakistan by registration under the Pakistan Citizenship Act. A domicile once affixed by an applicant and permitted by the Commission for the purpose of admission to an examination shall stand finally. Federal Public Service Commission has updated CSS Syllabus with the addition of new subjects. There are total seven groups comprising of various subjects. Students have the choice to select the subject of 100 marks from each group or one subject 200 marks. FPSC new syllabus will be subjected according to the current standard. Reforms in CSS syllabus are necessary to formulate the structure of supreme bureaucracy. Applicants who desire or seek for competitive exam shall apply through FPSC official web page online. Every year admission announces in the month of Aug/Sep and an application will be accepted in the month of Octo by the Commission. Take print of dully filled online form, copies of all documents along with original Treasury Receipt may be affixed to it and sent to FPSC within ten days of the closing date. Those applicants who filled online application with any wrong information which is not according to the document will be rejected from the Competitive exam. The application fee for the examination is Rs 22, 00/- is paid by the candidate in the nearest Government Treasury or National Bank. The student will carefully select optional subjects if found that leads to rejection of admission.Once subjects are selected by the student shall not be permitted to change after submission of application. Every applicant entities to apply for three times in Competitive exam.Candidate will not be allowed to enter into the examination without original CINIC and admission certificate issued by FPSC. Late students are ineligible to appear in the exam. A candidate who has 50% marks aggregate will be considered failed in written examination. The candidate does not eligible to apply for Medical Examination, Psychological Assessment, and Viva Voice. What is age limit in case of govt employ? Age limit of CSS Aspirants is 30.